Toyota’s Camry and Honda’s Accord have been the standout favorites in the hotly contested mid-size sedan segment for years - a segment that requires a car to have a near-perfect combination of factors to stand out from the crowd. Last year, the Hyundai Sonata made waves by offering a new level of design and technology componentry, and Volkswagen is also looking to make a statement (albeit a different one) with the 2012 Passat. Its complete overhaul has seen the Passat grow four inches in length, offer more features, and – perhaps most importantly – drop thousands in price to a sub-$20,000 starting MSRP. New to the Passat as well is a segment-first turbo-diesel engine (TDI), which returns 43 mpg highway and is offered alongside 2.5-liter and V-6 engines. 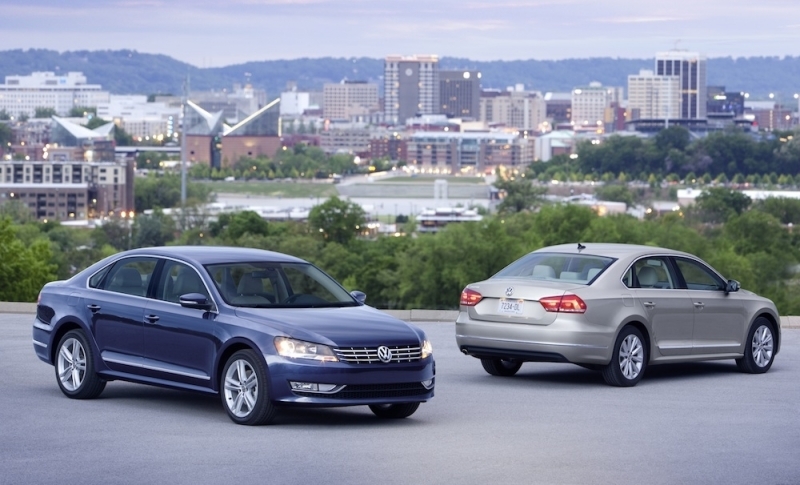 While the engineering is all German, this Passat is the first to be built at Volkswagen’s new Chattanooga, Tennessee plant. And the automaker took particular steps to create a Volkswagen specific to the American buyer. Case in point: Europe’s Passat is nearly entirely different; our Passat has more room and a unique look. All of this seems to herald the start of a different direction for Volkswagen, but with the Accord and Camry expecting redesigns for 2012 and 2013, it’s still up in the air whether it’s the right one. Leg- and headroom in the rear is spacious and accommodates most passengers comfortably. 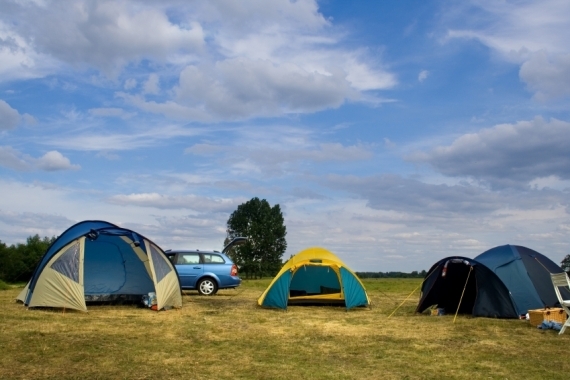 The addition of a TDI engine is great for those who may not want a hybrid but are concerned with fuel economy. The trunk is cavernous, and the touchscreen interface is fantastically easy to use and intuitive. Pricing is on par with the rest of the segment. Three years or 36,000 miles of free scheduled maintenance sweetens the pot. Drive quality is not up to Volkswagen standards, especially concerning is the steering and handling. Exterior design is ho-hum – and it looks a little too similar to the Jetta, and while the interior quality is high, it’s nothing special to look at. A power driver’s seat and USB port should be standard. Mid-size sedans on the market aren’t known for their cornering abilities, and that’s an expected trait of the segment. So like most, the new Passat has focused on comfort, softening the ride to make it more forgiving over the road’s imperfections. It results in a smooth journey, but one that tends to have plenty of body roll in corners. Vague, indirect steering doesn’t help anything either. Still, the Passat has an engine for every type of driver. The TDI is torquey and fun, giving you plenty of low-end power, while the 2.5-liter is a less robust engine that does a good job of getting you up hills efficiently – especially when you throw it in to manual or sport mode (available with the automatic transmission). The V-6 will be perfect for those who demand more power in their drive. Actually sitting behind the wheel, you’ll notice the cabin is quiet and spacious. The seats are supportive enough to be comfortable on long journeys, and visibility is largely clear. 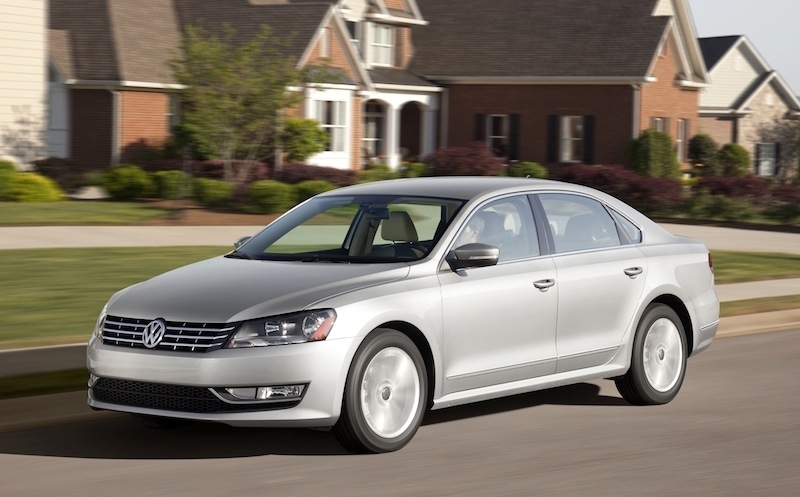 Volkswagen offers three engine choices with the Passat. The first, a 2.5-liter inline five-cylinder delivers 170 horsepower and 177 lb-ft of torque. A 3.6-liter V-6 produces 280 horsepower and 258 lb-ft of torque, while the clean diesel TDI engine will net you 140 horsepower and 236 lb-ft of torque. All are front-wheel drive. The V-6 has a standard DSG automatic transmission for super smooth shifts, but the TDI and 2.5 also give you the option of a six-speed manual so you can swap gears yourself. There are a few standard features in the Passat S (the base trim), such as Bluetooth connectivity and steering wheel-mounted controls, but you’ll find the bulk of the more interesting features in the SE and SEL trims. With them you’ll get power and heated seats, a sunroof, and even a DSG gearbox. We’d recommend checking out the Fender audio system. With its 400 watts, nine speakers, and USB connector it delivers smooth, crisp sound throughout the cabin. In a world where every manufacturer is trying to get a touchscreen system into their vehicles, few have done it as well as Volkswagen. The system, which is an option on the SE and SEL trims, features a navigation system with integrated audio controls. It’s simple, intuitive and good-looking. The little touches, like showing you the speed limit on your current road, make this system stand out from the rest. You won’t find a greener car in the segment if you opt for the TDI. 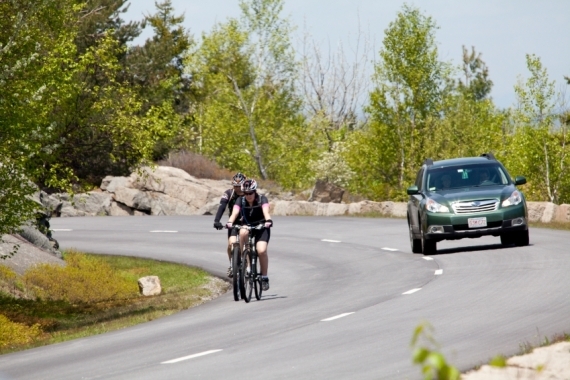 It returns 31 miles per gallon in the city and 43 mpg on the highway. The 2.5-liter is fairly frugal as well, with 21-22 mpg city and 31-32 mpg highway. As expected, the more powerful V-6 is the least economical choice, with 20 mpg city and 28 mpg highway. The Passat’s interior is fairly simple, and features elegant lines along the dash and a variety of color combinations. It’s not as modern as the Sonata’s, but it’s considerably more sophisticated than the Camry’s and far less button-heavy than the Accord’s. The cabin is spacious and the trunk even more so. There’s no escaping the fact that the Passat looks like a larger Jetta, thanks in part to the new design language and squared-off grille that VW is introducing across their line. It also happens to look oddly similar to the Honda Accord from the side. The design is simple, with few flourishes and clean, straight lines. Angular lights are the standout features of the exterior, and there are a number of wheel options. In this tight segment, pricing becomes a considerable factor in the buying process. 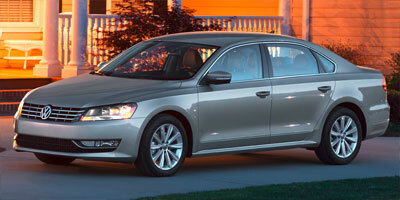 The 2012 Passat has a variety of trim levels and engine types, so for simplicity we’ll list just the entry pricing. The 2.5-liter S trim starts at $19,995, the TDI starts at $25,995 for the SE, and the V-6 SE starts at $28,995. We expect this to be similar pricing to the upcoming 2012 Camry and 2013 Accord; it slightly undercuts the current models. Also worth a look are the Nissan Altima, Mazda6 and Chevrolet Malibu. The Ford Fusion Hybrid and Sonata Hybrid produce similar gas mileage numbers to those of the TDI engine, and it may come down to pricing and styling when comparing them. When the Sonata arrived on the scene, it was a huge departure from the segment’s current offerings, and the success of Hyundai’s daring design is reflected in its strong sales numbers. The Passat could be considered the other side of the coin; Volkswagen has played it safe with this redesign, breaking no boundaries and staying well within the confines of traditional sedan styling. Saying that, keeping things safe has been the M.O. of the segment leaders for some time, and there’s something to be said for trying to appeal to the masses. Despite our issues with the design (style is subjective, after all), the dramatic price reduction, TDI engine choice with its great fuel economy and information and audio systems are all features buyers will truly appreciate.